It's been a while since I've sat down and shared what I've been reading. 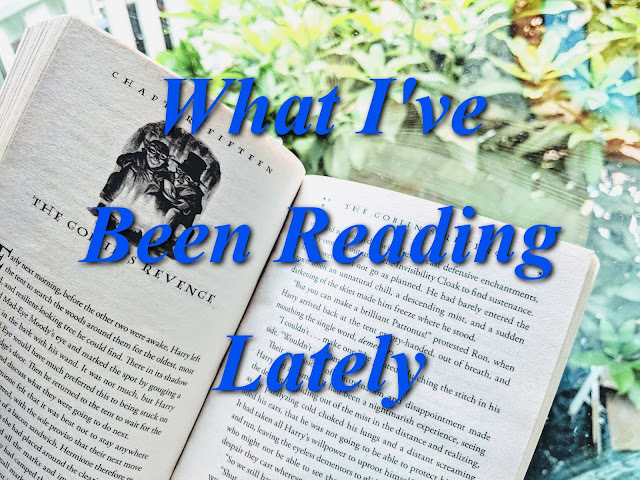 I've been reading and even though I share some of my reviews, I don't share all of the books that I've read. 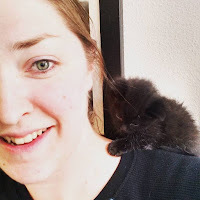 I guess it just comes down to time, and what I'm able to fit on the blog. The problems of reading too much I guess. My reading life consists of 205 books this year already. I know that's a lot, but I listen to audio books while I work. The longer I listen, the faster it gets, until I'm listening to a book at almost 300 works per minute. So 205 books isn't really that unusual. Lets dive into what I'm working on right now. This book has been on my TBR shelf since 2013. It is the oldest book. I've never seen the movie, but I might after I read the book. A lot of controversy surrounds this story with a terrible murder of a child and how her family has to cope. 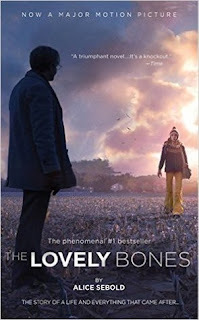 There are mixed reviews on Goodreads, but it carries a 3.78 rating. I'm excited to dive into it and hopefully I can finish it by the end of the week. Summary: The Lovely Bones is the story of a family devastated by a gruesome murder -- a murder recounted by the teenage victim. Upsetting, you say? Remarkably, first-time novelist Alice Sebold takes this difficult material and delivers a compelling and accomplished exploration of a fractured family's need for peace and closure. This book is the reason why I can't finish anything else. It's 1443 pages long. Even in audio form that takes a while to get through. I'm totally enthralled with this series though, and the long read is worth it. 60% done. I'll get there. Summary: The year is 1771, and war is coming. Jamie Fraser’s wife tells him so. Little as he wishes to, he must believe it, for hers is a gift of dreadful prophecy—a time-traveler’s certain knowledge. 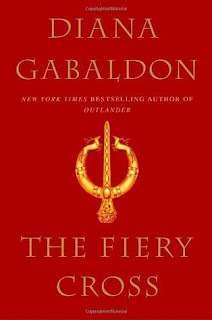 Claire’s unique view of the future has brought him both danger and deliverance in the past; her knowledge of the oncoming revolution is a flickering torch that may light his way through the perilous years ahead—or ignite a conflagration that will leave their lives in ashes. 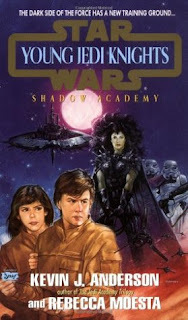 Summary: The Dark Jedi Brakiss--the student Luke Skywalker expelled from his academy--has learned much since he left. Enough to master the dark side of the Force, and enough to establish his own school for training Jedi--the Shadow Academy. Now Brakiss has an even greater task--kidnap the heirs of the Skywalker bloodline, and turn them to the dark side of the Force. This book I picked up on Netgalley. My coworking spoke highly of this series so I thought I would try it. Although its not a preferred genre, the writing is good. I'm just not into the story, but that might just be personal preference. Lets see if I can get through this one this week. Summary: A new hero emerges in a divided world as one of sci-fi's most beloved series--Anne McCaffrey's Dragonriders of Pern--relaunches with this original adventure from Anne's daughter, Gigi McCaffrey. 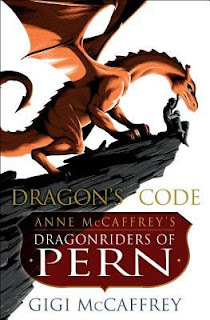 The last time Thread attacked Pern, the world was unprepared for the fight--until the Oldtimers appeared. These courageous dragonriders arrived from the past, traveling four hundred years to help their descendants survive. But the collision of past and present took its toll. While most of the displaced rescuers adapted to their new reality, others could not abide the jarring change and found themselves in soul-crushing exile, where unhappiness and resentment seethed. Have you read any of these? What did you think?! Any of these going on your TBR? Tell me what you’ve been reading!